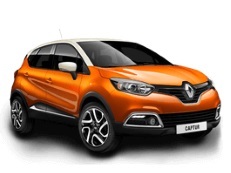 Correct Wheel Sizes, PCD, Offset, Rims and Tire specs for Renault Captur series. I have a Renault Scenic (2014) Spacer Spare Wheel and have just bought a Renault Captur (2016) . Please can you tell me if my Scenic spare wheel will fit my Captur ? Hi,Marjorie Williams-Brown,Does both the wheels have same number of wheel lugs?If yes,it can fit for. Hi,Lex Millar,No,they have different wheel size. 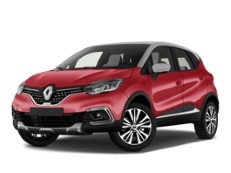 I have a renault captur 2016 with 17in wheels 27in overall.I would like to buy a space saver spare wheel but the spare wheel well is only 24in wide ! What size wheel can I use if any ? Thank you. Hi,George potter,Normally,The spare wheel size is little smaller than stock wheels.If the 24'' wheels you find comes from wheel shopes.It is accessible.If you still do not like 24'' rims,You can find another 17'' captur wheels. Hi,earl,Yes,you can use the wheels and tires.